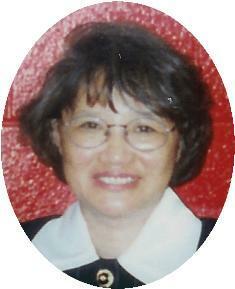 Kim (Yong Ae) Hansen, 55, of W Beutel Road, Port Washington died December 20, 2005 at Columbia St. Mary’s Hospital – Columbia Campus in Milwaukee. She was born in Jeon-Buk, South Korea on December 26, 1949 to Sung Bong So and Chun Chang Suk. She met William J. “Bill” Hansen of Port Washington and they were married September 24, 1973 in Port Washington, Wisconsin. Kim was a homemaker, but also worked for 17 years with Ozaukee Press / Port Publications, Port Washington in the Printing Shop and worked at Banner Crafts in Grafton for 3 years. She enjoyed gardening, traveling, knitting, her pug dog “Mo” and loved to cook for others. She is survived by her her husband Bill and children Cyndi Hansen of Cedarburg and Mike Hansen of Port Washington. Further survived by her husbands parents John (Helen) Hansen and friends. She is preceded in death by her daughter Terry. Fr. Allan Sommer will celebrate a Mass of Christian Burial 7pm Monday, December 26, 2005 at St. Mary’s Catholic Church, Port Washington. Interment will be in St. Mary’s Cemetery, Port Washington. Family will receive friends from 4 – 6:30pm Monday at the funeral home. Memorials to Columbia St. Mary’s Hospice, 2025 E Newport Avenue, Milwaukee, WI 53211 appreciated.